Club Car golf carts are designed and built to be used for years of safe and secure driving pleasure. For anyone who owns a golf-cart, it's always important to make sure that your machine is well-maintained to keep it running for as long as possible. Practicing regular preventive maintenance is always a good habit for anyone who owns any type of vehicle. At Golf Cart Garage, we sell high quality Club Car golf cart parts and Club Car accessories that will help ensure the longevity of your beloved golf cart! We also offer Club Car Golf Accessories for golf cart enthusiasts who are into tricking out their rides! Many golf cart enthusiasts do not just limit themselves to stock parts. Why not upgrade your Club Car golf cart for better performance? Club Car DS accessories and Club Car Precedent parts are right at your fingertips! You can also opt to add accessories to your cart that will surely make heads turn as you drive by. If you are looking for Club Car Carryall parts, we have got them! Club Car Precedent accessories to pimp out your golf cart, we have got them! If you need Club Car DS parts for maintenance, we have them, too! From Club Car Rear Seat Kits, to Club Car Wheel And Tire Combos, to Club Car Light Kits, you name it; we have got all the parts you need for your buggies! 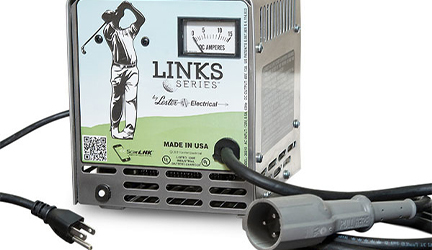 We also carry Club Car Battery Chargers that will keep your batteries healthy with its Winter Storage Mode! We offer thousands of Club Car parts and accessories for your DIY maintenance and upgrade needs at a fraction of the cost! You can be assured that we sell top quality products that will give you a bang for your buck and have your Club Car golfcart running smoothly for a very long time! There is no better place to buy the parts you need, than from a shop that is trusted by thousands of happy customers! We not only sell high quality products, we also offer the best customer service our customers deserve! We have broken down the Club Car golf cart parts and accessories on our online store by category, so it will be easier for you to lookup and browse through the items we sell. Lots of items for sale! You just have to click on the category you would like to go through our selection. You have thousands of items to choose from, and they are all available at a reasonable price! And, did I mention we offer free shipping? Yes, you read it right. Free Shipping on all orders within the continental US! Awesome savings for awesome customers! If that doesn’t sound like a good deal, I don’t know what would. You are probably asking yourself "Where can I find Club Car parts near me?" Enter, Golf Cart Garage! We are always ready to help our customers find the Club Car OEM parts they are looking for! What are you waiting for? If you have an item in mind and need help finding the part that you need for your ClubCar, or if you have any questions or concerns, we are a dealer who cares and we invite you to shoot us an e-mail at Support@GolfCartGarage.Com or give us a call us at 1-800-401-2934 M-F, 9AM to 6PM EST!